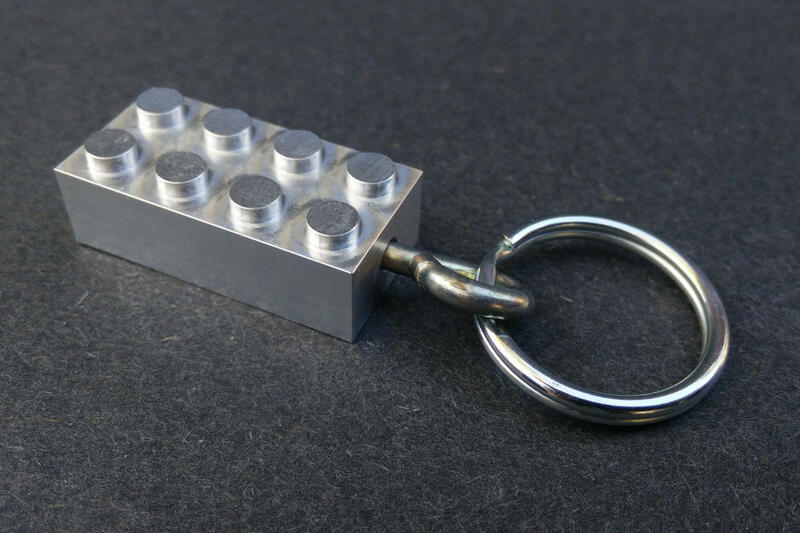 We leave the keychain eyebolt removable so you can use the keychain as a regular brick. If you prefer, we can glue it in place. Please allow up to a week for processing engraving requests. If you have a specific engraving or typeface in mind, please let us know in the comments on your order. We can engrave one or two lines of text up to 16 characters each. Would you like a logo engraved on your brick? Choose from one of the following! 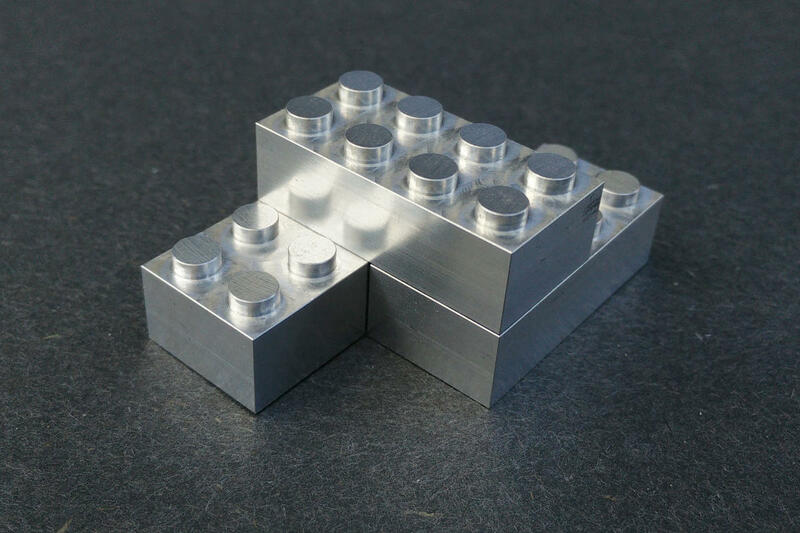 Each of these bricks is precision CNC machined from aircraft-grade aluminum. 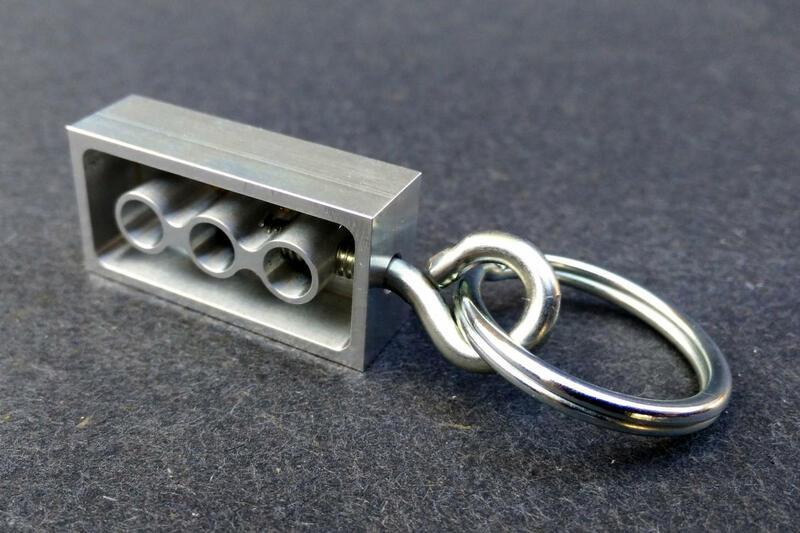 One end has a drilled and threaded hole which accepts a small eyebolt (included) to turn this shiny brick into a keychain. 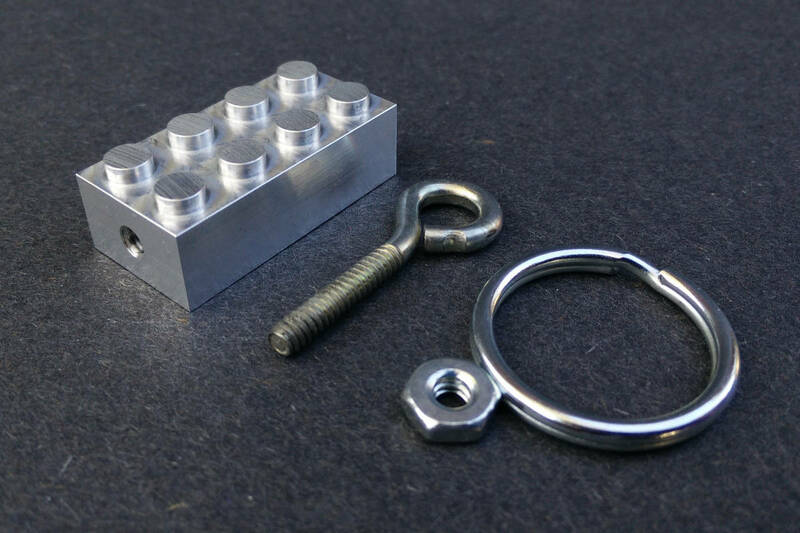 These are the exact same size as and fit together with "the leading brand", but they'll last much longer in your pocket or banging around with your keys. See our personalization options to turn this into a one-of-a-kind gift or memento. I first saw these bricks featured on the www.brothers-brick.com blog in July '08. I bought a couple for my friends (and for myself too). Postage and service was very efficient and speedy. 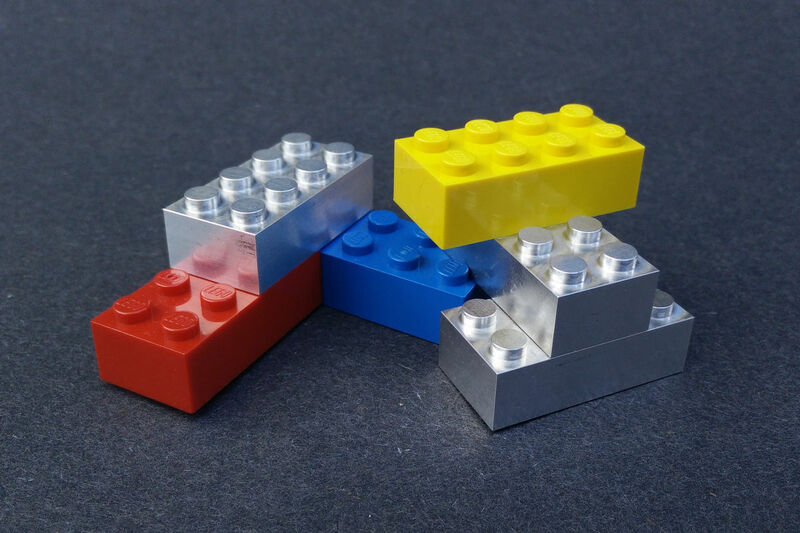 They're light and shiny - a must have for "The Brick" enthusiast. I ordered my keychains based on reviews I'd heard from friends who had purchased some. 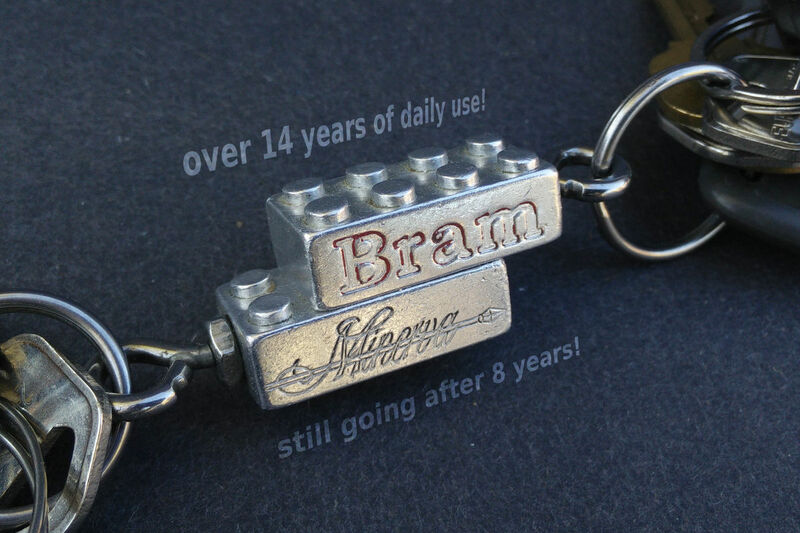 I was mainly buying these as a gift for my wife, who has collected keychains for years, and has several official Lego minifig keychains in her collection from me already. So this time I was hoping to make it more special. 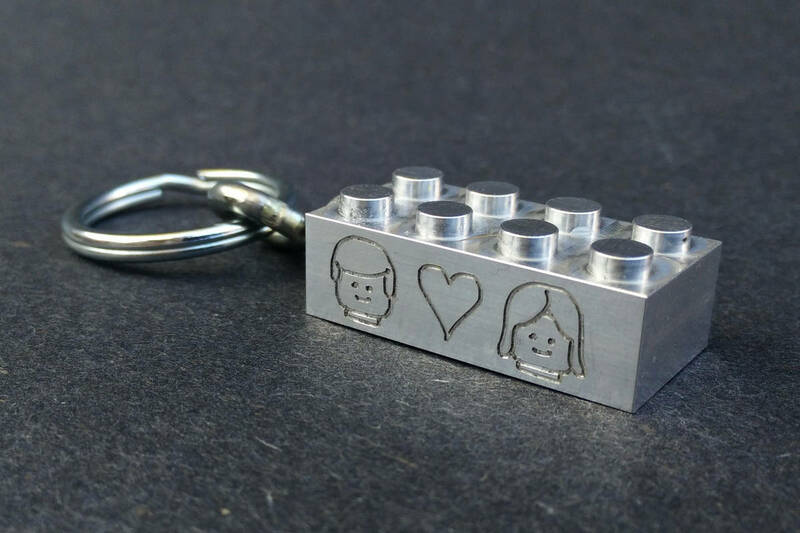 The engravings I decided to go with were the boy and girl minifig heads with a heart between them, and our anniversary date on the back. When I gave my wife her's, she really loved it, and instead of putting it on her keychain racks where the rest always go, she actually put it on her keys. I can't come up with a better testimonial than that.